Freephone from mobiles and landlines. Please call for large order discounts. Custom design cufflinks – Men’s fashion! Clothes don’t complete ones appearance if there are no accessories. Articles like cufflinks, bow ties, watches and sunglasses are the essential components of one’s outfit. Cufflinks gift hub provides you with a diverse range of unique yet stylish cufflinks. These are available in variety of shapes including custom designs. So, if you’re a traveller or a paleontologist, a singer or an army officer, you’ll get all you need. .
Not just the perfect accessory for palaeontologists our mens dinosaur cufflinks will add some serious fashionable cool to the outfit of all. 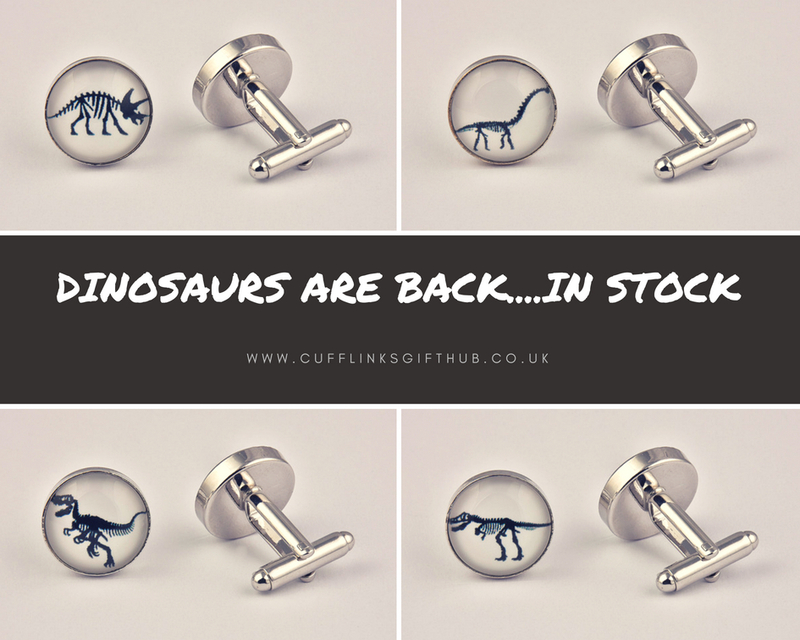 So if you are a chilled out and vegetation loving Brachiosaurus, or a terrific Triceratops, a totally terrifying Tyrannosaurus Rex or indeed a vicious velociraptor we definitely have the cool cufflinks for you. These exclusive cufflinks are designed and stocked exclusively at Cufflinks Gift Hub and are offered with free delivery included . At Cufflinks Gift Hub you will find the most extensive selection of exclusive mens cufflinks anywhere. 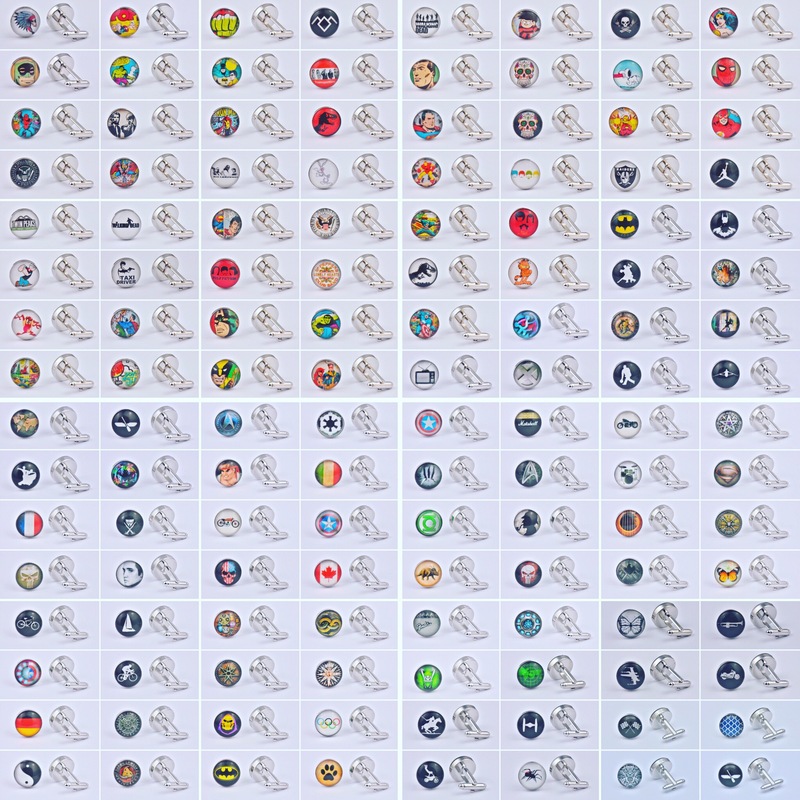 We have over 1500 unique and exclusively designed mens cufflinks styles in stock that are only available directly from us. All of our cool cufflinks for men are made using the highest AAA quality materials including metal alloys and cabochon glass. We have a huge amount of cool cufflinks styles including Superhero Cufflinks, Football Cufflinks, Animal Cufflinks, Pattern . Trending styles and fashion do not mean that you have to remain in the predefined standard colours and shapes. 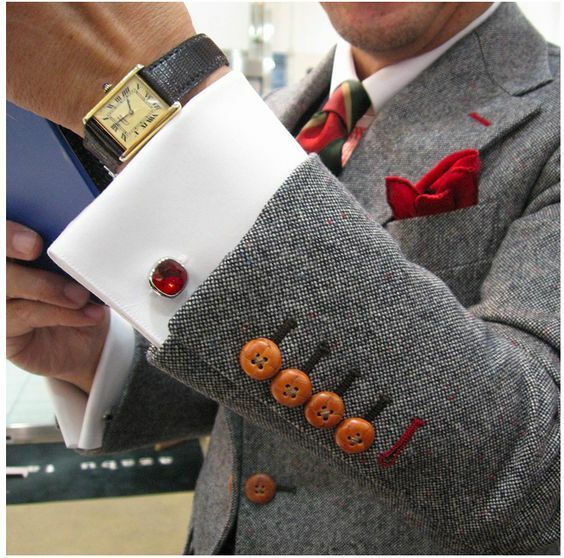 In fact, when wearing cufflinks, there’s plenty of room to channel your individuality, the dapper man that you are. Cufflinks allow men to accessories and express themselves through jewellery. Today’s cufflinks come in varying designs, themes, textures and styles that you can always find what you are specifically looking for, from novelty cufflinks to more . Christmas is just a few days away, and if you’re still struggling to find the perfect gift for your husband, father, brother, boyfriend, etc., why not consider a pair of novelty cufflinks. This jewellery is a welcome addition to a dapper man’s arsenal, while it’s a nudge in the right direction in terms of dressing for the dishevelled male. 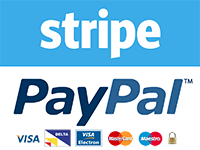 This article will provide you with a guide to help you in picking out the . Make a big impression with the smallest details. Cufflinks are the perfect accessories that any man can wear, whether to a formal event, a business meeting or a casual Friday night get-together with friends. 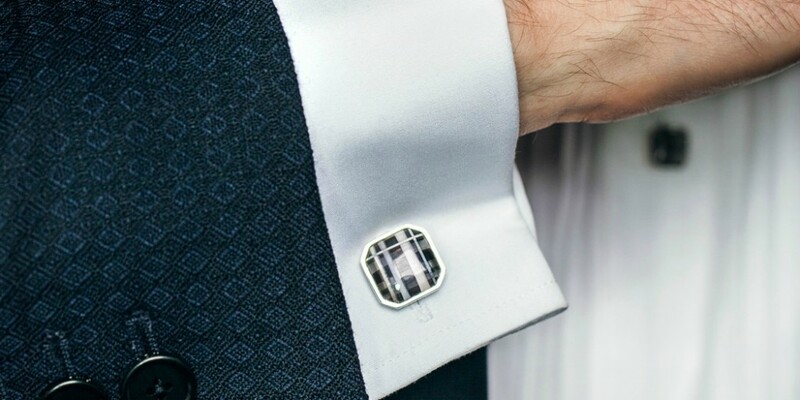 A man’s wardrobe will never be complete without at least a pair of cufflinks. These accessories come in a variety of styles, materials, colours and shapes. They allow men to inject a bit of personality to their outfit. If you . Christmas is just right around the corner, and we all know that it is notoriously tricky to find the perfect Christmas presents for men. So why not trying something other than the usual gifts such as a memorable pair of novelty cufflinks? If your significant other wears a suit and tie on a regular basis, then these are perfect for days he can rock a dress shirt without the tie and still look dashing . How to Wear Cufflinks on a Regular Shirt? 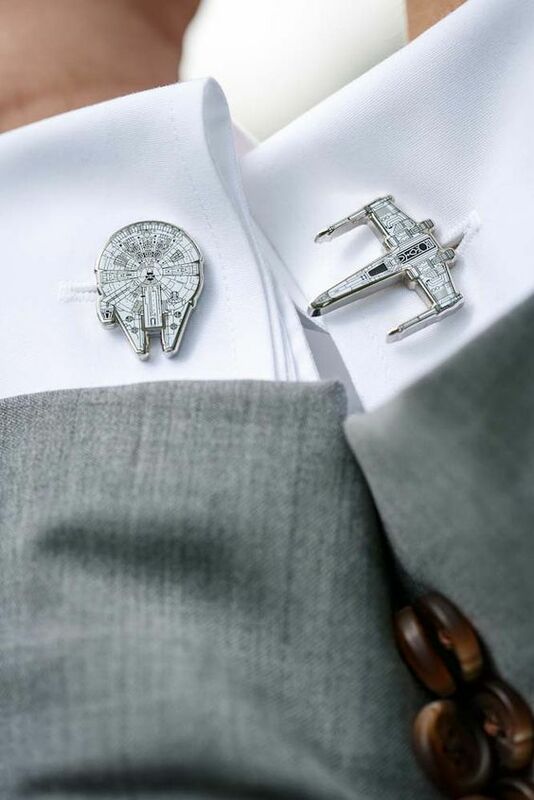 Cufflinks are amazing! Yes, they are. If you think about it, when can a man wear a jewellery piece that is both ornamental and functional? 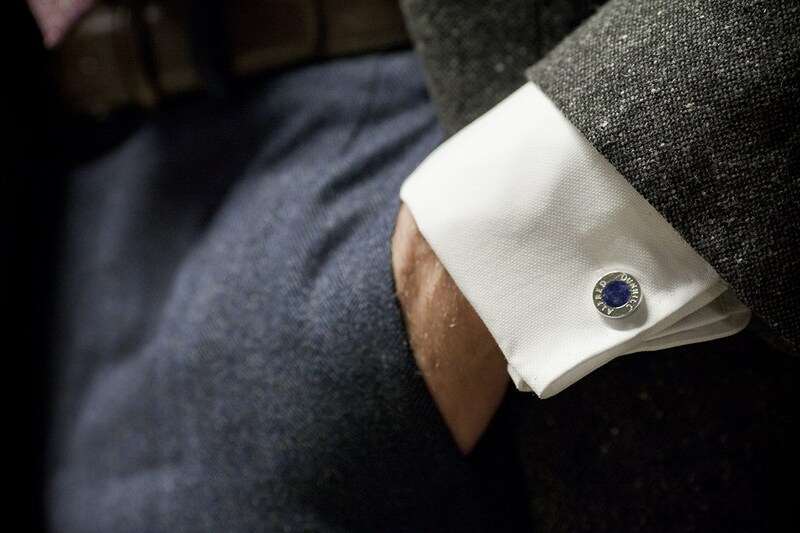 If you haven’t tried wearing cufflinks, well you are missing out on a lot! Cufflinks have long been traditionally associated with men’s formal or semiformal wear such as a tuxedo ensemble. 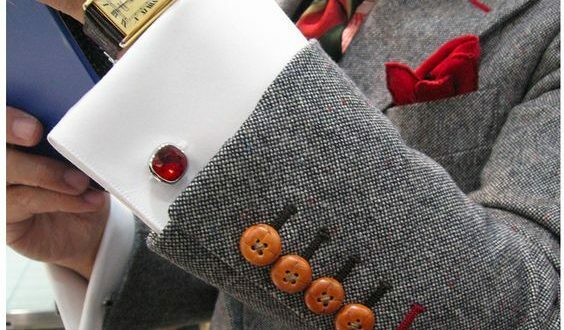 Others refer to these versatile accessories as “formal jewellery.” They are great if you want to add a .
Cufflinks have become the perfect versatile addition to any wardrobe. In fact, these manly accessories might just be the one to transform your attire from drab to fab. Additionally, they are perfect gifts for your father, brother, husband, fiancée, etc. And since the holiday is just right around the corner, the infographic below will guide you in picking the appropriate cufflink material. The material for any cufflink is significantly the very first decision you . 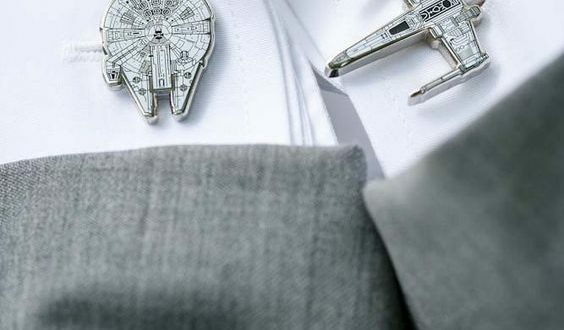 Grooms are expected to look their best on their big day. Who wouldn’t want to see their soon-to-be husband look elegant in a formal suit and tie? But aside from coordinating colours with the bride, there isn’t much a groom can do to channel his style and personality into his wardrobe. This is where cufflinks play their major role in making the groom look dapper than ever. 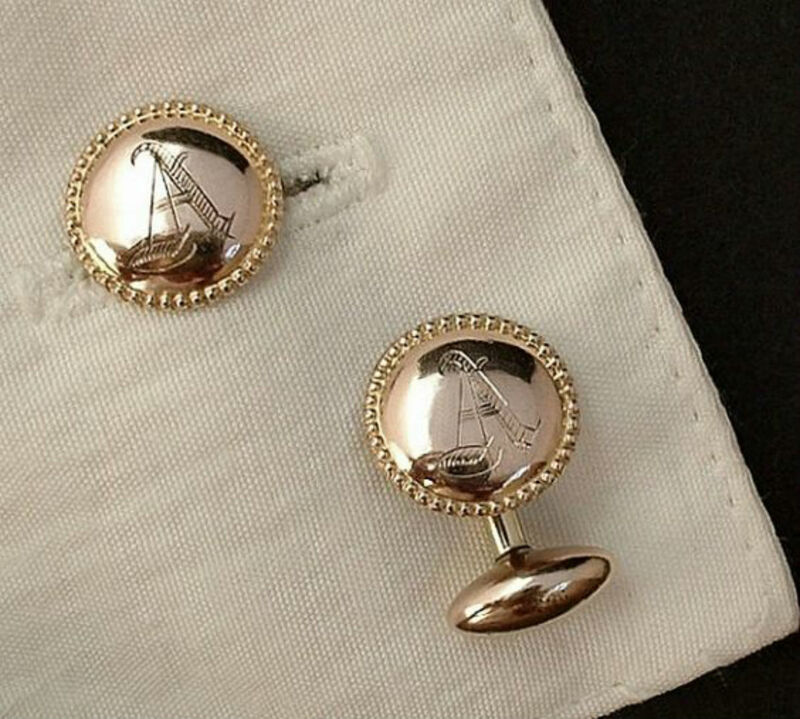 A pair of cufflinks makes every groom, .